5200 BTUs, 23″ 3D Infrared Quartz Electric Fireplace Insert with Safer Plug™ and Safer Sensor™. Patent pending 3D flame effect technology offers a layered flame effect to create a realistic fire with five adjustable brightness and speed settings. 1 Year limited manufacturer’s warranty. The traditional style Brighton media mantel features an elegant layer of thick marble that sits atop this finely crafted mantel and the matching marble insert surround completes the look. Functionality is built-in with the open, full length center shelf which provides maximum storage for media components. 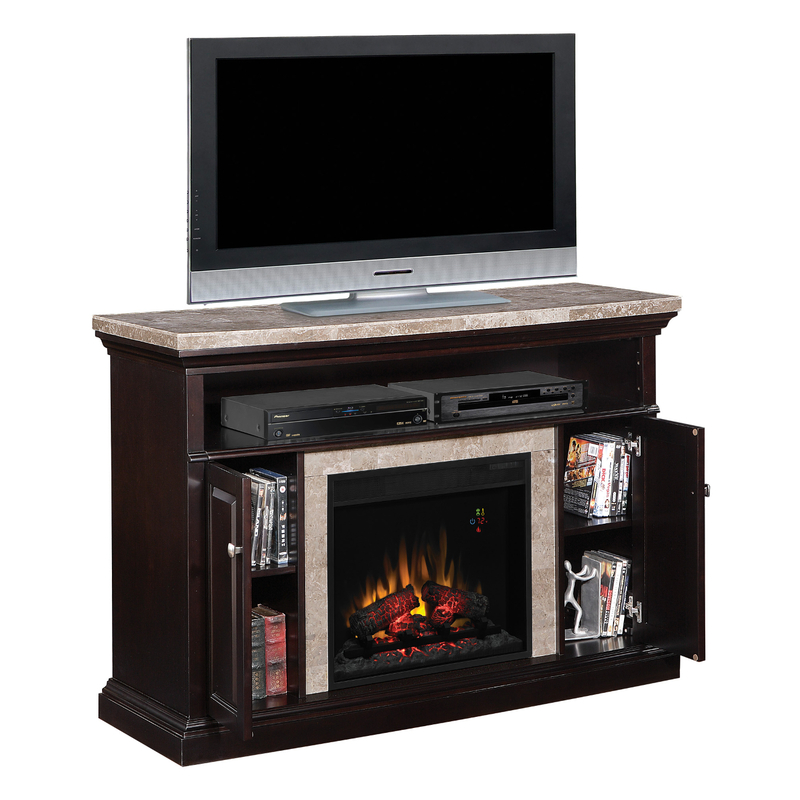 This multi-function media mantel features fine details throughout, from its beveled base to the two raised panel side door cabinets conceal adjustable shelves which are finished on five sides. Designed to hold up to approximately a 62″ television, this fireplace features integrated wire management, adjustable wood shelves and antique brass hardware. The 23II042FGL electric fireplace insert has heat that is optional for all season enjoyment.